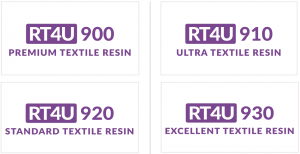 +RT4U Textile Resin is specially designed for Textile Care Label printing. Durable printing image resistance against water washing, dry cleaning, stone wash, chemical washing and superior ironing resistance. Are you looking for Textile Care Label ribbons? +RT4U Textile ribbons are available with different qualities. 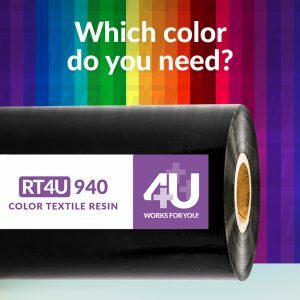 If you are looking for a coloured ink ribbon take a look at our RT4U 940 Color Textile Resin. available in nearly 30 colors.